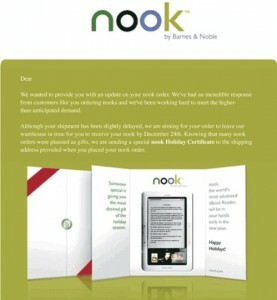 The demand for the Nookster is so great, Barnes & Noble is giving people $100 dollar gift cards if their pre-order doesn’t arrive by Thursday. Nice move. » Wondering where that Google Christmas gift is?